You’ll never “know anyone’s voice” unless you listen to them. I know my earthly father’s voice because I’ve listened to him for years, as to be expected of anyone you have listened to for years. This is no different with God. His voice is specific. His voice is felt and heard. His voice will never contradict His written Word. He speaks with PURPOSE so when He has spoken, don’t take it lightly. If He has spoken to you, abide and walk in His Words of direction. So often we hear the phrase “whatever is meant to be will be“, or “God’s will, will be done.” It gives us a great sense of ambiguity in not only the over all scheme of things but also in our own lives and convictions, or lack thereof. So where does this concept come from? Well it surely doesn’t come from God. The bible is full of story’s where things didn’t work out the way they were suppose to. Death, murder, selfishness, immorality, wrath, judgment, all of which came solely as a result of people living in opposition to God’s will; for God told them not to do these things. In truth, sin is simply any form of rebellion against God’s will. If everything was God’s will then there would be no sin because there would be no rebellion, for the very nature of rebellion is to choose to act against the will of the authority over you. If your children are being rebellious, it means that they are not obeying your will for them. Now hear me out on this, God is above all and in the end His promises will stand, God will do His part, it’s your part that is in question here. The Israelite’s that left Egypt are a great example of this. They left for the promised land, yet Paul tells us that because of the unbelief of God’s words that drove their constant rebellion to God’s will for them, they could not enter in. God still kept His promise to Abraham by sending their children into promise but they themselves lost their part in it because of a refusal to believe and obey God’s words, but it did not have to be; hence the warning to us not to make the same mistake. So if it is God’s will that all come to repentance unto eternal life, then why do so few do so? The answer is given just a few more verses down when it says clearly that it is because most do not do the will of the Father. You do have a choice to make, everyone has a choice to make. Will you be counted among the many or among the few. God is patient because it is not His will that any should parish, therefor He waits for you to choose to repent of your rebellion against His will and realign yourself with it, but many simply choose not to. The choice is yours, God will not make it for you, so I implore you, choose ye this day whom you will serve while there is still yet time. 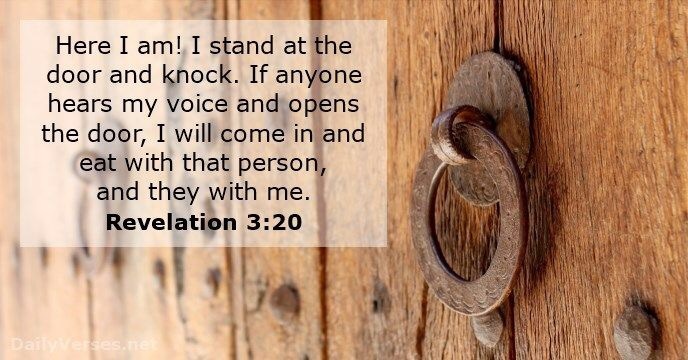 Jesus stands at the door and knocks desiring to come in, sup, talk with you, and tell you His will for you, but you have to choose to open that door and once you have, you have to choose to listen to what He tells you there. It’s all about a choice. It’s always been about a choice. From the garden of Eden, to the garden of Gethsemane, to the garden of your heart, it’s always been about a choice between saying “my will be done“, or “thy will be done.” It’s about a choice, and the choice is yours to make, choose the narrow path, choose to do the will of the Father, choose life. Do you know God? No, I didn’t ask if you know about God, I mean do you “know Him”? Do you personally know Him? Do you know His voice? His Words, His character? Do you have a personal relationship with Him? Does He come in and sup with you? Because if He does not regularly come in and sup, visit, commune, speak, teach, and fellowship with you, then He is still standing outside the door knocking. You haven’t actually let Him in. Just knowing that He exists isn’t enough. Knowing that He is at the door isn’t enough. Knowing that He is knocking isn’t enough. You have to actually let Him in and fellowship with Him, talk to Him, listen to Him, get to know Him, love Him, and obey Him. A lot of people know about God, but very few actually come to know God. It’s heart breaking because Christ suffered and died that we might be reconciled unto the Father and inter in boldly before His thrown. We no longer need a priest to inter in for us but we ourselves can hear directly from God and fellowship with Him like Moses did. Yet with this great unmatchable gift laid before us, we choose entertainment, distraction, relationships, pride, worldly lust, gain, grudges, traditions, doctrines, ambition, and outright sin to keep us from it. We choose these poisonous gifts of the world over this precious gift from God just like Adam and Eve chose the serpents fruit over all that God had labored to make available to them. People this ought not be so, nor does it need to be. The choice is yours. Jesus made a way, it’s a straight and narrow way, but it is available to any who will choose to take it, and it leads straight the the thrown of God. It’s available now, open the door, let Jesus in, talk with Him, listen to Him, get to know Him, and He will teach you how to walk this thing out by faith. Not by faith in what you think you know, (for that is self righteousness) but by faith in what He says (which is walking in His righteousness). God is real, people! He is real right now. His power is real. The Holy Spirit is real. Miracles, signs, and wonders are real. Yet I urge you today to wake up and understand that Hell is real too, and Jesus really is coming back, but only for those who personally know Him and are known by Him. Knowing about Him won’t save you, in fact it will only assure you a greater damnation being without excuse for not getting to know Him. So how do you get to know Him? The same way you get to know anyone. You spend time with them. Personal one on one time “with” them. Jesus is knocking, take the time to open that door, invite Him in, sit and sup, visit, talk, listen, commune, and be taught personally by God. We are not promised tomorrow, we are not guaranteed another chance. We are only guaranteed damnation if we fail to take the chances given to us in the limited time we have to take them. Today is the day of salvation. Now is the appointed time. Open the door while He still knocks, because when He opens the door Himself it will be too late. Know that you will stand face to face with God one way or the other, better it be now by choice and loving invitation, then later by force to receive eternal damnation. Jesus spoke in a parable of one who planted seed in four different kinds of soil. To fully grasp the context of this parable we need to first understand what the elements of the parable represent. First the soil represents the heart. Their are four different conditions in which the soil in this parable are found. We will discuss that further later. The next element of the parable that is critical to understand is the seed being sown into these soils. The seed is God’s Word, but deeper then that it’s the one who speaks those words, who is the word. It’s Jesus, for Jesus is the word made flesh and it is Jesus whom is the seed of Abraham who was counted righteous because he listened to God’s voice. That is to say, he received God’s words, believed them, and acted upon them in obedience because of His faith in them. You cannot separate Jesus from His words, either logos (written in the past) or Rhema (spoken directly to you in the present). To believe in one you will believe the other, to reject one you reject the other for they are one in the same. So we understand that the seed is the word and the word is Jesus but let’s go a little deeper. Abraham believed God’s voice (words) and received a promise that through his seed all nations would be blessed. That those who bless him would be blessed and those that curse him would be cursed, and that he would inherit a kingdom. The promise was to him and his seed. Most understand this to be the Jewish people by nationality, however that is not a biblically accurate interpretation. Scripture tells us that the kingdom being promised here was not to be given to many seeds (as in a people) but to Abrahams seed (singular, as in a person), and that person is Christ in whom all the nations of the world are blessed; whomsoever (of any people, gender, class, or nationality) chooses to believe in Him and in His words, for He is the word! So now we can see that the parable of the sower in its deepest since being that of different people who have receive Christ (the Seed and the Word) in different ways and the outcome of it. The first is one who hears the word and receives the seed but is not discipled. Being unlearned they are unable to yet distinguish between the voice of the shepherd and the voice of the stranger, and following the stranger will be led astray before the seed really takes root and bares fruit. The second is one who hears the words of God and receive Christ with gladness! Yet they don’t go any deeper. They don’t let the word take root and breakup their heart ground, the environment of their heart is not changed by the Seed but resist it, they don’t break up their fallowed ground and seek after righteousness. They aren’t told that they have to ever seek to go deeper and to grow in the things of God, therefore they stay shallow never reaching for the deeper things of God and when the storms of trial, tribulation, disappointment, offense, and persecution arise, they are unequipped, unaware, and able to endure not having built that deep unshakable personal relationship with God that they might draw from the deep well that is the Holy Ghost ministering hope directly and personally to them and through them even in dry and desperate seasons. Though all of these situations are tragic, the third condition of the parable is possibly the most damaging to the faith of others. You see the third one received Christ, the seed took root, grew into a tree, and was even producing fruit! However, other things grew up around it and began to choke it out until it died and stopped producing. Distractions, worries, social status, money, possessions, positions, relationships, idols, vanity, anything that you allow to take your ear away from God’s voice is taking your heart away from it also and you will Bering to dry up and eventually die spiritually. We know that Jesus said that any tree that bares not good fruit is cut down and cast into the fire, and here we see a tree that once bore fruit yet now has become barren and fruitless. Let this sink in and never allow anything to choke out your connection to the root from which you draw your grace and thus cut off the fruitfulness of your faith. No compromise. No complacency. No idolatry. Remember, this world is not your home. Finally, the last condition is what Jesus called “good soil“. The heart that hears His words, receives Him (the Seed), allows Him to grow deep roots in you changing the environment of your heart, digging down and drawing up deep wells of living water, and baring much fruit that others might be blessed and more seed spread to the pleasing of the sower. All of these bad grounds can be transformed into good ground by simply spending time with the husbandmen (the tender of the garden). Determined to get alone with God and get to know God and He will make not only Himself known to you, but He will make the condition of your own heart known to you also, that it might be mended into greater fruitfulness that you might be blessed. For it is His desire to bless but He cannot bless unfruitfulness. So call on Jesus, seek the husbandmen, cry out for Him to plow your heart, soften it, remove the thorns (sin and distractions), attend to His words, seek to go deeper into the things of God, and watch your barrenness become blessing. Are You Spiritually Love Sick? Most of us know what it’s like to be love sick. That empty, depressing, lonely, heart desperate, anxious, unsettled feeling you have when you are away from the one you love the most. Sometimes you can’t even eat because your heart is more fixed on that person (or the absence of them) then on the desire for food. The negative emotional states mentioned above are also scientifically proven to severely weaken your immune system making you far more susceptible to physical illness as well. So when a person is love sick, it often starts out as an emotional state but, if prolonged, often ends up as a physical sickness. Therefore, being “love sick” is a very real thing. So we see that, though some may need to be saved by fear of hell (Jude 1:23), it is falling in love with Christ that will cause us to spend the personal time with Him that will truly change us into a fit bride. You see, when the above passage says that the bride of Christ is “cleansed and sanctified by the washing of the water by the word“, that is a special kind of “word“. The Greek word used there is “Rhema“, which means His living spoken word, spoken directly and personally to you, as in prayer, devotion, and personal time with Him. This is not to be confused with “logo’s” which is the written word. Logo’s speaks of law and that which is written and passed down, but Rhema speaks of that which is spoken directly to your heart from God in the present. This is what brings conviction, instruction, direction, revelation, comfort, encouragement, and love, for it is in communion that we truly get to know someone and fall more and more in love with them. This is why Jesus encouraged us often through His “logos” written word from the past, to come in and sup, or commune with Him that you might receive His “Rhema” spoken word in the present. Now be warned that a true Rhema word from the Lord will never contradict the Logos word since they come from the same source, as all manifestations of the Godhead will always agree with each other. 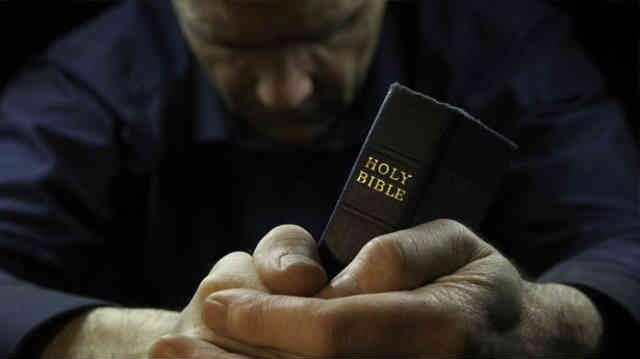 (1 John 5:7-8) However, the importance of personal time with the Lord cannot be overstated. It is in this time that you are truly changed and develop the drive, strength, determination, and grace to be a good and faithful bride. Yet as with any true relationship, if time together is neglected the relationship wanes, suffers, weakens, and eventually you will stray from it. 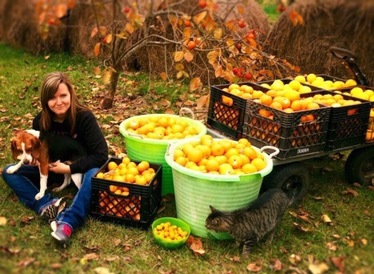 This is why Jesus said that the fruit of those who do not abide in His love and remain connected will wither and they will eventually end up being cut off and cast into the fire (John 15:6). Now to come back to our opening point about being love sick. Having seen that our relationship with Christ is one of love, partly expressed as all love relationships are, by personal communion, we may come to realize that many of the emotions, anxieties, stresses, depressions, and even illnesses we face come from the fact that we are not spending time with the one we love the most. Jesus! Many of the aggravations and offenses we struggle with may stem from a feeling of being robbed of that time by others or meaningless task. Furthermore, much of the guilt that struggling believers carry may be rooted in this lack of personal communion time with the Bridegroom, and the root of much envy may be found in jealousy against those who do. Yet if we are honest we have to admit that we will make time for what we love the most. Though the devil will steal your time, over work and overwhelm you, it is up to you to fight for time with the one you Love, and if you truly love Him, then fight you will. Just like the love sick fool who doesn’t eat because they care more about seeing or hearing from that loved one then their own belly, if you must fast to find the time and energy to get to Him, you will. The truth is that being love sick is real, not just for your spouse but for the Bridegroom also. It you do not make personal time to talk with and hear from the Lord then you will get spiritually sick, and believe it or not this can lead eventually to even becoming physically sick. Again the word for “word” in the original text here means the literal spoken word of God. A direct and personal message from the Word Himself to you, His bride. When you spend time with God and hear from the Lord (who is our help), it brings hope, which ignites a flame of passion, which drives action, to which the testimony of, stokes the flames of faith in love in others unto salvation and eternal life. But more then that only, hope literally brings health, that you might not only have life, but have it more abundantly! Yesterday I was expecting company to come over in the evening, so in the morning as I was doing my normal cleaning I noticed some cobwebs that had collected in the corner and some dust that had settled on the ceiling fan. These were both things that had slowly developed over time, because of this I had become somewhat blinded to it. I didn’t notice it before because it had settled in gradually causing me to barely notice it until, becoming accustomed to it being there, I was blinded to it. However, when I knew a friend was coming I began to look at my house through their eyes. How would they see it? What would they notice? Then I saw it and it had to go. In that moment the Lord spoke to me and said, “you see, this is why it’s important that people be reminded that I am coming.” He was right! We allow things to settle into our hearts, minds, and lives gradually. A little thought here, a little compromise there, a little distraction, a lack of prayer, a little bitterness, a little pride, a little selfishness, a little lie, a little sin, a little dust building up on the ceiling fan (metaphorically speaking). The devil takes joy in weaving these things into your life conspicuously, piece by piece like the cobweb in the corner, and we often times don’t even realize it’s there because we aren’t looking for it. Sometimes we do see it but think, “I’ll get rid of that in a little while but once we put it off, we forget and become completely blinded to it because now we are accustomed to it’s presence and easily overlook it. Oh, but when we are reminded that someone is coming soon, that Jesus is coming and that he will see every hidden corner of our spiritual house then we stop and start to look at it the way He will, and we begin to see what He will see. Then we notice things that we have previously been blinded to. Then we get motivated to clean out the junk, shake off the dust, and kick out the cobwebs. Then we wake up and get it done. This is why Christ warned so often for us to remain vigilant and ready, always preparing and awaiting His return. One of the main reasons that the church at large is asleep today when it should be working and preparing is because it has stopped expecting Christ’s return and very few pastors and watchmen are still reminding them of it. I knew exactly when my friend was coming over and how much time I had to get my house in order, but no man knows the day or the hour that Christ will come, so get your spiritual house in order now while you still can. No one is promised tomorrow, today is the day of salvation and now is the acceptable time. Their will be no more chances when you stand before God, there will only be you giving an account of the chances He already gave you. Jesus is still coming and rather you believe it or not won’t change it, it will only change how prepared you are for it when it comes. Wake up, clean your spiritual house, trim your lamps with oil, stay awake, and watch, for the bridegroom cometh. Matthew chapter 7 tells us that not everyone who claims the Name of Jesus will inter heaven but only those who do the will of His Father. He says this in clarification of His previous statement that every tree which does not produce good fruit (that being the peaceable fruits of righteousness mentioned in Hebrews 12:11) will be cut down and cast into the fire. Then in Galatians chapter 5:22 we find out exactly what those good fruits are; love, joy, peace, longsuffering, gentleness, goodness, faith, meekness, temperance, and the crucifying of the lust of the flesh. It is not only God’s will that we walk in these basic Christian characters of Holy living for which He created us from the very beginning to do, but the Apostle Paul takes it a bit further by stating not only is it God’s will but it is, as Christians, our reasonable duty! That is to say, the least we should expect ourselves to do if we truly believe in who and what He is, and in what He has willingly done for us. So in this we see that we must produce good fruit, fruits of righteousness, Holy fruits reflecting the Holy character of the Holy Spirit of the Holy God which we claim lives in us and thus should shine forth through us. Yet, we read in our opening passage that we cannot produce this good fruit by ourselves, but only by abiding in Christ can this fruit be produced through us. So how do we abide? Jesus told us that if we love Him we will keep His commandments. Loving Jesus, truly loving Him with a faithful committed selfless serving abiding love is the key to obedience and joyful submission to the will of God in the same way that truly loving someone will produce these same characteristics in them toward her spouse or spouse to be. You see if we truly love God, we will desire to abide, to be with Him, to hear from Him, to be pleasing to Him, and to obey Him. Love makes it a joy to do these things rather then a task or work in the same manner that if I cook and serve a meal to people that I do not love I am merely their servant and this is my work (like being a waiter for example), however if I cook and serve a meal to my husband and family whom I love, the task is not grievous to me but a joy because I love them and want to serve with love, in love, because of love. So you see, Love is the key. Now that you are beginning to see the process you might ask, how do I fall in love with Jesus? The same way you truly fall in love with anyone, you spend time with them. Which brings us full circle back to “abiding”, which simply means “to be with”. How will you know what God’s will is if you don’t spend time with Him to get to know Him? How will you know how wonderful and loving and worthy of love He is unless you spend time with Him to get to know Him? How will you learn His character and faithfulness that you might fall in love with it unless you spend time with Him? How will you know what His commandments and desires for you are unless you spend time talking with Him and hearing from Him that you might joyfully obey when He does speak, knowing of whom you have been spoken to. This is why when Martha rebuked Marry for not helping her work, Jesus rebuked Martha saying that Marry was “doing what was needful”. The key word there was “needful”. Martha’s work was fruitless because she was never told to do it, while Mary was abiding waiting on a word from The Word that she might obey and bare fruit, not her fruit, the labor of her own will, ability, and logic, but His. Take time today to put everything away and pray. Get to know Jesus and you will fall in love with Him and His commands will no longer be grievous to you but a joy making it easy to bare those good fruits. Talk to Him, listen to Him, praise Him, abide with Him. Get a word from The Word and stand on that word in faith and it will be your greatest joy to not only obey it, but also to see Him move mountains to see it through stirring both your faith in Him and love for Him all the more. By this, my friend, do you grow in grace. As Moses waited on God, the people waited on Moses. Though the glory of God was known to reside on this particular mountain, God did not reveal Himself to Moses immediately upon his arrival. Six days, Moses waited on God there in that place of reverence, worship, and prayer; and on the seventh day, God spoke and Moses entered in. Many would have simply seen or experienced the existence of the presence of the cloud then spent the rest of their lives talking about it. “Oh, the glory of God fell like a cloud on that mountain that day, you should have been there. I was there, it was something to behold“….. But not Moses, he was less concerned with beholding the cloud and more concerned about meeting with (and hearing from) the God of the cloud face to face. He was not so impressed with the prestige of claiming to have experienced the presence of the glory of God and was more impressed with God Himself. He was less in love with God’s power then He was with God Himself. He wasn’t seeking a show, He was seeking to be shown and therefore, did he wait patiently for 6 days for God to show up and speak to Him. Not just the glory cloud, not just the presence, but God Himself, The Word, because in the beginning was the Word, and the Word was God, therefore Moses waited for that Word, and when he finally heard the Word, He went knowing that God had shown up. How many times have we come to that place where we know the presence of God abides? That place of personal worship and prayer? We sit there and behold the glory, we know that God inhabits the praises of His people, so we sit and wait for Him there… Well for a few minutes anyway, then our mind wonders, we get distracted, we pull back into the thoughts, things, and chores of this world and wonder why God never showed up for us (the many) like He does for the few. We sing the songs “we wait for You” but we will rarely wait longer then it takes to sing the words. Moses waited 6 days. Let that sink in. Moses, one of the closest men to God in all of human history, waited 6 days, who do you think you are that you would expect God to serve you with less? We can rarely wait 60 minutes in desperation and hunger for God, much less 6 days. If you want a real encounter with God, find your mountain top, get alone in the presence of His glory, and wait for Him. He may not come immediately, but if you desire Him enough to wait, He will surely come. Pray, praise, worship, and wait, in this we minister to God that He might show up and minister to us. You see, even as the people waited on Moses, so Moses waited on God because no man (not even Moses) is worthy to minister to others until God has first ministered to Him. So stop talking about the cloud, the glory, the thing you saw afar off but was never truly called into because you would not wait on God and start seeking Him who created the cloud and manifest the glory. All of the Israelite’s were called into promise but they would not even wait for Moses to come down off the Mountain with the Word of God before they started creating their own services, feast, and god. Moses was chosen because He chose to wait on God until he heard a Word from The Word, and then obeyed that Word. In this we see why many are called but few are chosen. So choose to stop and wait on the Word, because when He Himself becomes more important to you then either His power or even His glory, then will He come and truly invite you into it where there is more then goosebumps and manifestations, there is conversation and revelation. So be faithful in the waiting or you’ll never get past the point of talking about “what you’ve seen“, to the point of talking about “who you’ve seen“. Change Your Desires, Change Your Life! No Weapon Formed Against Me!